A trio with trumpet, guitar and bass is a rare thing, strangely enough, and only the following albums come to mind : the Ruby Braff trio with "Me, Myself & I" (Concord, 1989), or Chet Baker with Philip Catherine and Jean-Louis Rassinfosse on "Crystal Bells" (LDH, 1983), and - of a totally different nature - the A Trio's "Live In Nickelsdorf". Braff and Baker set a typical cool atmosphere, creating a nice chamber feel without the drums, intimate, playful and technically superb music, entertaining and inventive at the same time. 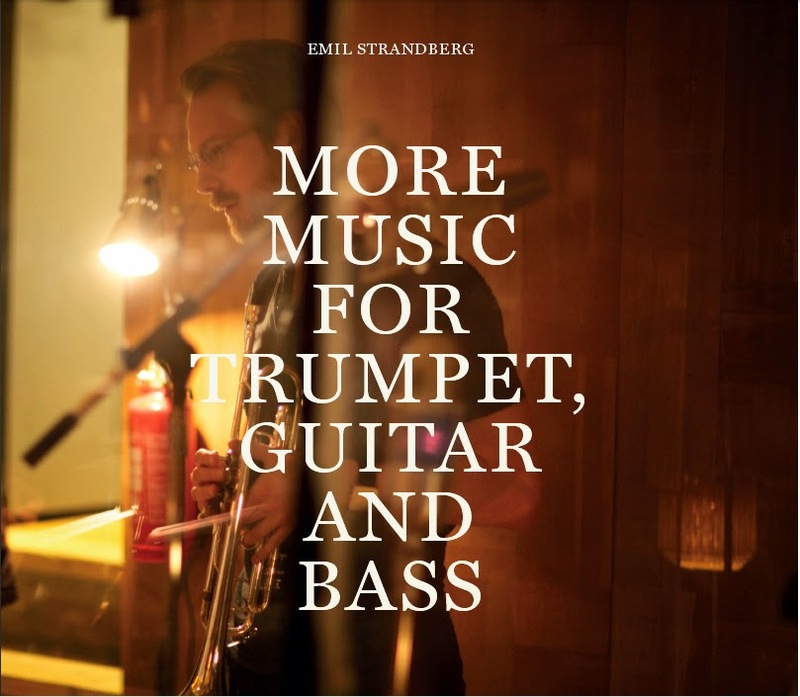 It is almost in that tradition that you can listen to this wonderful album with Emil Strandberg on trumpet, David Stackenäs on guitar, and Pär-Ola Landin on bass. With a tune by Paul Desmond and one by Monk, tradition is also served, but their own compositions and improvisations beautifully merge with tradition without actually copying it. They keep the atmosphere but give it a very refreshing open approach, full of joy and incredible accuracy, not only technically but especially improvisationally. Why is it called "More Music For Trumpet, Guitar and Bass"? Well, because the other album "Works", released in 2013, has the same line-up and overall feel. And if you're still not convinced that it's good, please read Eyal Haruveni's review for Allaboutjazz. PS: Suggestions for other trumpet, guitar and bass trios are welcome! Please add them in the "comments" section below. The Sweet Jazz Trio (www.sweetjazztrio.com) springs to mind. Not "free jazz" by any stretch of the imagination (or ears!) but very pleasant to listen to if you just want to chill out.